Today Mina along with her humans found cache #6000 (http://coord.info/GC34N7V) a cache called Doggie Drop Off, Congrats to the whole team. Congrats! Hey why are you kidnapping that puppy from her doghouse? Congrats on the 6k! Sniff out another 6K, Mina! Congrats!!! 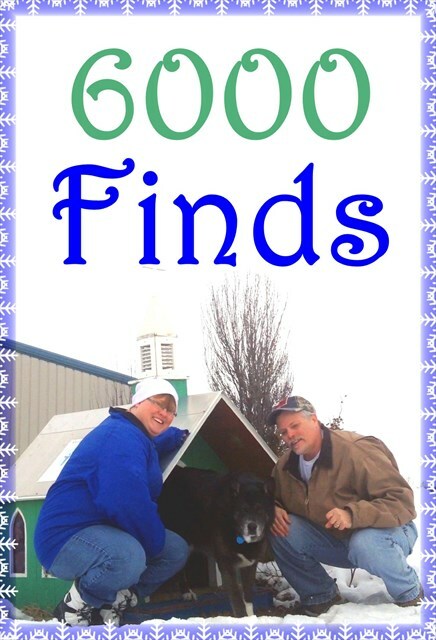 on your 6000 finds. But I think the real number here is 6666. But that could take a while at one cache a day Woof! Mina had a personalized pic for herself too. Congrats on hitting 6K. Now onward to many more trails ahead and caches left to sniff out. A better late than never Congratulations to you!